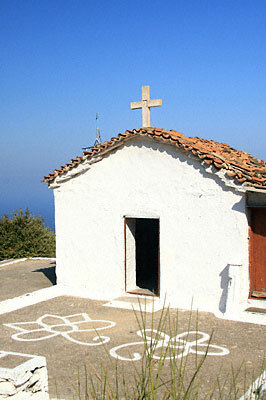 The Monastery of Panagia Vrontiani or Vrontes is located 450 meters above sea level on the island of Samos. It is located in an overgrown area, about 20 kilometers south of the villge Vourliotes. 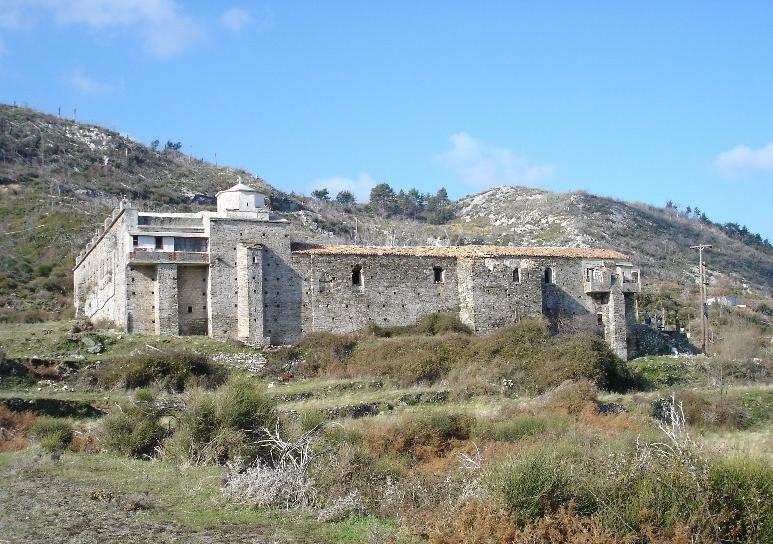 The oldest Monastery on the island, it was established originally around 1476 and renovated many times. 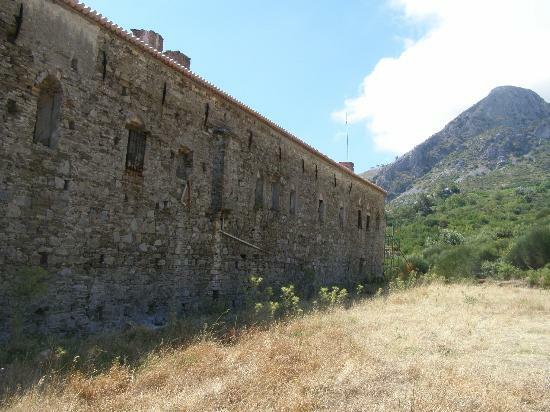 This was first done in 1566 by the monks (and brothers) Iakovos and Makarios, who dedicated it to the Nativity of the Theotokos. It was also renovated in 1702 and 1960. It is said the Monastery gets its name "Vrontiani" or "Vrontes" because of the strong thunders (vrontes) that strike during the autumn rains in September (the month that the Monastery celebrates). According to another widespread opinion, the Monastery took its name after a wealthy family that used to live near the settlement of Kokkari near the Monastery, which is why it is also named "Kokkariani". This Monastery is famous for its superb icons and frescoes and for its marvellous gold inlaid wood-carved iconostasis. 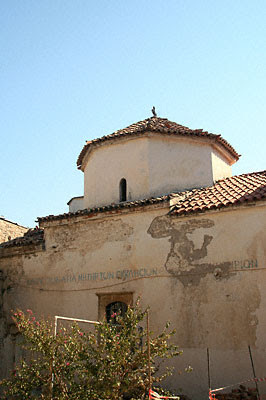 Of the old wall paintings in the katholikon church all that remains today are small sections in the holy bema and the arch of the dome. Around the main church are the cells where the monks used to live. In the southeastern part of the building is the small chapel of the Transfiguration of the Savior, with its wonderful wood-carved icon screen. The view from there is excellent and visitors can gaze at the deep blue sea, all the way to Asia Minor. The little library of the monastery, which includes books and codexes from 1676 up to today, is of great interest. 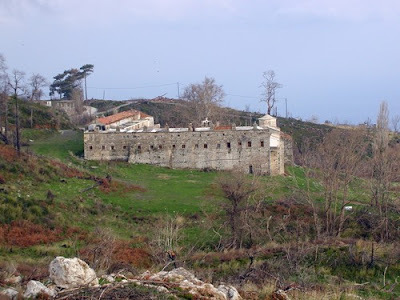 In the summer of 1999 there was a great fire which destroyed many parts of the Monastery. The Monastery celebrates on September 8th.